The sound the SMA3 reproduces on most styles of music is nothing short of phenomenal. Naturally, it has some sound limitations, because let’s face it: It’s a tiny little box that you can carry anywhere. Andrew Jones is on a mission. As chief speaker engineer for Pioneer, he has been tasked with transforming the company’s home speaker products from mediocre to hi-fi precision audio. Educated in England, Jones has almost a decade of study in the physics of sound under his belt. His resume boasts stints at KEF and Infinity, and, more recently, includes his position as chief designer for Pioneer’s renowned multi-thousand dollar line of TAD reference speakers. Basically, Jones is an audio guru, which is why we were so excited to see his signature on the box containing one of Pioneer’s more recent efforts, the A3 XW-SMA3-K (SMA3) wireless speaker. The SMA3 is Pioneer’s latest addition to a seemingly infinite market of speaker docks – wireless or otherwise – that promise premium quality audio in a portable package. However, the SMA3 breaks the mold of many portable devices available today, foregoing Bluetooth in favor of AirPlay and Pioneer’s proprietary Wireless Direct function. 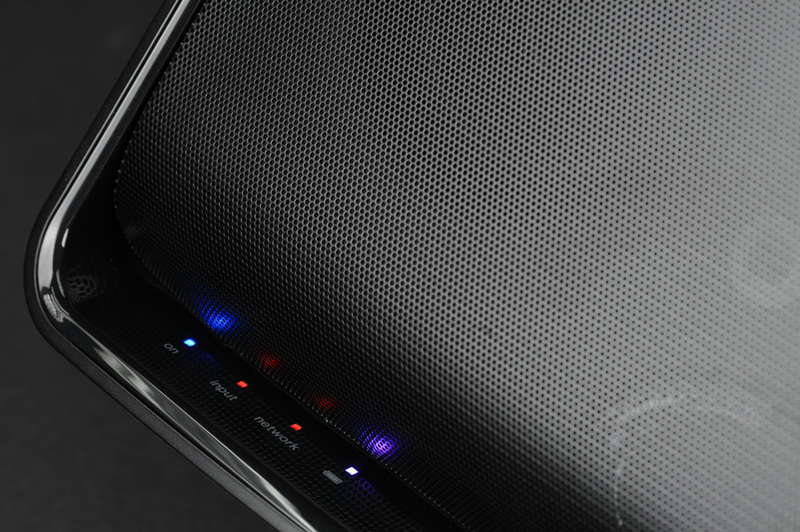 It can also connect via Wi-Fi to any wireless router. However, the price tag of the SMA3 also goes beyond most portable devices, coming in at around $400. Can Pioneer deliver a sound that rivals a home stereo system in a package you can take to the beach? Read on to find out. The SMA3 is steeped in minimalism, from design to packaging. We pulled the cardboard flaps of the box open and removed the brown packing carton to reveal the white bag containing the SMA3. Also in the box was a package of instructions, a small white box with a power supply, and a tiny remote inside – and that’s it. Slipping the white bag off, we got our first glimpse of the SMA3, which is fashioned with matte-black plastic in a compact, rectangular design, vaguely reminiscent of a miniature flat-screen TV. Our first thought was that it seemed a bit small to deliver much of a punch. Encased in the SMA3’s sleek, black shoebox-sized frame are two 3-inch drivers, a single 1-inch tweeter, and a small air port. As we wiped some cardboard dust from the diagonal dashboard beneath the speaker screen, we accidently powered the SMA3 on, giving us our first taste of the soft-touch buttons that run smoothly across the front. There’s an input button, volume control, and a power/standby button. Several corresponding LEDs use a variety of colors and flash patters to communicate whether the SMA3 is low on battery, searching for signal, powered on, and so on. 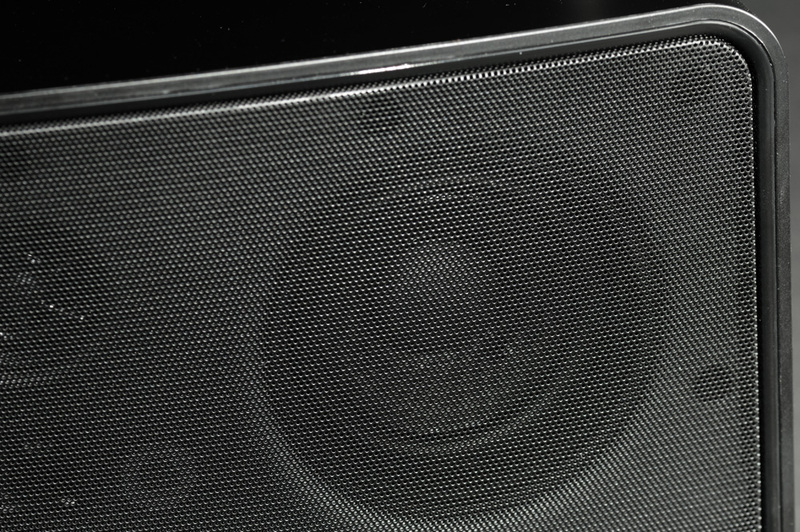 On the back of the speaker are two water-resistant rubber flaps which pop open to reveal a USB input for iPod connection, the power cord input, an Ethernet input, and a 3.5 mm aux input. Also on the back is the network setup button which commands the SMA3 to search for or send out a Wi-Fi signal when pressed, and a small rubberized antenna. The included lithium-ion battery is reported to support up to five hours of playtime, which is likely a bit optimistic — we never actually killed the battery, but the light went red after about three or four hours. It’s also worth mentioning that the max volume level is higher when the SMA3 is plugged in than it is running on battery power. Pioneer’s website says the SMA3 is “wireless entertainment simplified.” However, unfolding the cartographic-sized instruction manual might lead you to believe otherwise. The instructions outline several options to connect, and all those arrows and diagrams can be a little daunting. 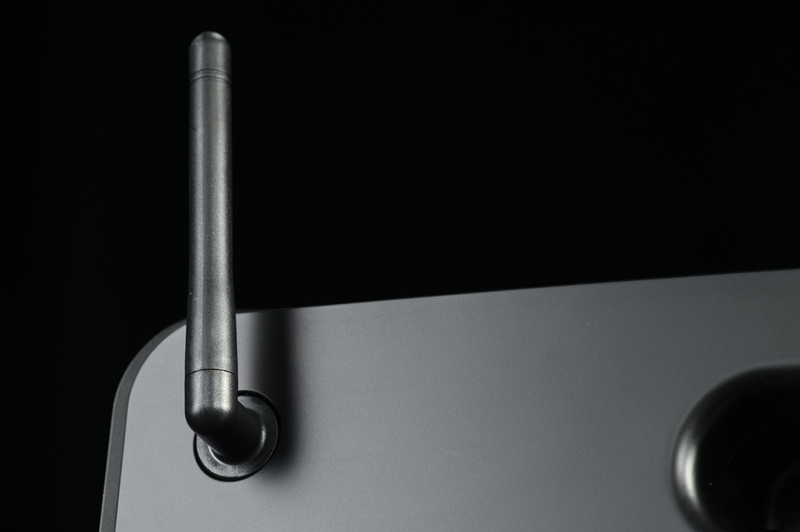 The simplest wireless connection is also the most portable, the Wireless Direct function. 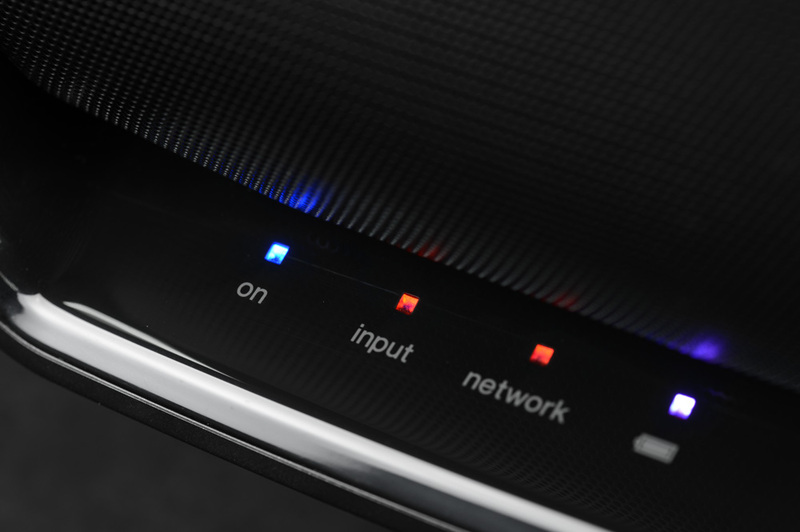 It can be done with a few simple steps using the network connect button to connect to an iPhone using AirPlay, or with an HTC device through HTC Connect. Linking the SMA3 to our wireless router was a bit trickier. We diligently tried each method, but in the end, we had to connect the old fashioned way: hardwiring our laptop to the SMA3 with an Ethernet cable and programming our local information into it directly. Once you’re connected, though, there’s definitely an improvement in sound quality over normal A2DP Bluetooth. We were really curious to hear how much big sound this tiny box could muster, so we jumped straight into a heavily produced Radiohead track, cranked up the juice and let the SMA3 rip. Wow. We could not believe the bass and midrange response of those little 3-inch drivers. There was so much bass it rattled our coffee table. In addition to big bass, the SMA3’s little 1-inch tweeter pumped out the upper register with an extraordinary mix of clarity and breadth. At times, it seemed to skate the line between tinny and brilliant at the top end, but more often than not it delivered an articulate reproduction of percussion and vocals, and handled synthesizer tones beautifully. We next put on one of our obligatory test tracks, the superbly produced “Madness” by Muse. The click of the beat in the intro was so clean from the SMA3 that it almost seemed to rival the same accuracy produced by our $1,000 reference pair of JBL 4326’s. But the same track also exposed the first real flaw in the little SMA3: The port in the front pumped so much air, it rattled the speaker screen a bit. At times, when volume levels were at their peak, it seemed as if the speakers were trying to break free from their cage. Ultimately, we were forced to accept the limits of physics. Still, as we listened through heavier rock and electronic tunes, the SMA3 did an excellent job for its size, filling the room with bold, well-balanced sound. Though we were thoroughly impressed by the power of the SMA3, we think it shines brightest at lower volumes. As we moved to acoustic music, we found that in addition to its awesome synth reproduction, the SMA3 really knows its way around a stringed instrument, especially piano. Listening through Tumbleweed Connection by Elton John was a real treat. The piano was bright, yet woody. Poignant, yet rich. When an 8-minute unreleased version of “Madman Across the Water” came on, we were dazzled by the job the SMA3 did with the recording’s entire instrumentation. We also got stuck during a late-night listening session on the album Babel by Mumford and Sons. We kept meaning to move on, but we were held in rapture as the brilliant tones of the different acoustic instruments collided with each other in smooth, creamy midrange bliss. As amazing as the SMA3 sounds on most genres of music, there were periodic reminders of its limitations. Its size and single tweeter inhibit the SMA3’s ability to reproduce a full stereo field, which is why the hyper-stereo mix of some older recordings can sound a little squashed. And in spite of its depth and range, it cuts off the very bottom of the frequency spectrum, leaving out part of the groove on some hip-hop tracks. We also had a few instances where the signal cut-out. It was probably due to Wi-Fi traffic on our network, but it happened a couple of times on the Wireless Direct connection too, which was annoying. Still, the SMA3’s overall sound quality and convenience combine for a very enticing package. 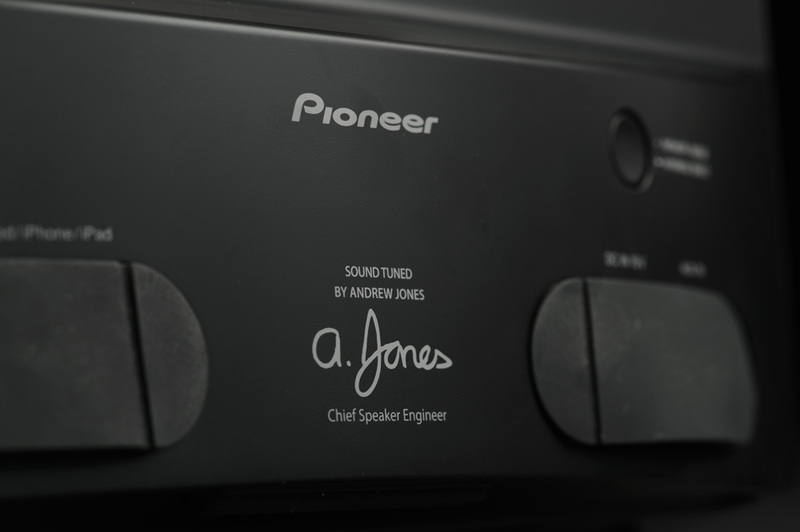 It’s obvious by the traces of Andrew Jones’s signature all over the SMA3 packaging that Pioneer is proud of their acclaimed speaker engineer, and they should be. The sound the SMA3 reproduces on most styles of music is nothing short of phenomenal. Naturally, it has some sound limitations, because let’s face it: It’s a tiny little box that you can carry anywhere. And at $400, the SMA3 is approaching the price of a decent 5.1-channel sound system, so there are definite sacrifices for that kind of portability. The answer to whether or not that’s an even trade, we’ll leave up to you. Either way, this little unit more than justifies its asking price. Roland, long known for its many digital instruments, has made an Amazon-exclusive Bluetooth speaker for musicians on the go. With a guitar cable input and overdrive effect, it might be the perfect portable rig for guitarists.